Creating a Beast and Other New Classes Live Now! All new classes to fuel your fitness goals. This week, find your inner beast with Aaptiv Trainer Sultan Malik’s strength class, Creating A Beast. Or take some time to unwind from all the sitting you may do with Aaptiv Trainer Jaime McFaden’s Fall In Line, a stretching class that incorporates yoga postures to loosen up your entire body. Get Jiggy With It with Amanda B. Full Body + Weights: Grab a set of dumbbells for this class. This total body workout combines strength moves with a quick dose of cardio. Warm up with jumping jacks, high knees, squats, and alternating reverse lunges. Then, perform two rounds of three movements for 40 seconds each. Exercises include weighted step-out squats, modified push-ups, and more. Lower Body: Using only bodyweight exercises and your max effort level within a 45-second window, you’ll get your heart rate up as if you were doing cardio. Your movements include high knees, jump squats, lunges, skaters, mountain climbers, and planks to push-ups. Rest for 15 seconds in between each move. Torch & Tone Tabata with Kenta S.
Positive Negatives with Kenta S.
Full Body + Weights: Grab a light and medium set of dumbbells, as well as a mat. This class focuses on slowing down the eccentric (negative) portion of exercises. Work through two circuits: one with four exercises and the other with three exercises. Perform each exercise for 40 seconds with a 5-second negative and 1-second contraction. Then, you’ll work for 20 seconds on the exercise at a normal pace. No Easy Way Out with Mike S.
Lower Body + Core: Work through three rounds of four exercises. You’ll have 30 seconds on each exercise. Moves include glute bridge variations, alternating shoulder taps, and forearm planks. You’ll have 30 seconds of rest in between rounds. Physio Ball Fun with Mike S.
Lower Body + Equipment: Grab a physio ball, then work through two rounds of frog jumps and physio ball planks for 60 seconds each. Following that, complete three rounds of prisoner squats, physio ball planks, ice skaters, and side planks, each performed for 40 seconds. Finish up with an 8-minute EMOM of alternating lunges and alternating hip flexion. Mini Dynamic EMOMs with Meghan T.
HIIT + Full Body: This quick, bodyweight, HIIT workout focuses on developing speed, power and lean muscle. Work through two 6-minute circuits. Repeat each twice. The first includes air squats, burpees, bicycle kicks, reverse lunges, crunches, and high knees. The second has single-leg burpees, high knees, air squats, jump squats, and plank variations. Goblets and Planks with Rachel M.
Full Body + Weights: Grab a heavy dumbbell or a heavy kettlebell for this EMOM. Work through goblet squats and forearm planks every minute. You’ll have time adjustments throughout. Heavy On That Core with Sultan M.
Core: Work on sculpting that core with leg raises, crunches, and planks. Creating A Beast with Sultan N.
Full Body + Weights: Grab a selection of dumbbells, then work through a group of eight consecutive movements. Exercises include alternating forward lunges, deadlifts, shoulder presses, upright rows, chest presses, hammer curls, overhead tricep extensions, and Bulgarian twists. Repeat the group four times, performing each exercise for 35 seconds. Rest for 60 seconds in between groups. Show Me the Meaning with Amanda B. Full Body + Equipment: This quick beginner stretch focuses on opening the hips and lengthening the spine with movements such as down dogs and lying spinal twists. You’ll need a mat for this class. Fall In Line with Jaime M.
Full Body: Start standing, then make your way down to the floor with stretches, such as cat/cows, downward dog, child’s pose, and more. Stretch It Still with Nicole S.
Full Body: This class is great to use as a cooldown after a cardio workout. Stretch out your entire body while listening to an all Portugal. The Man playlist. Just Focus On My Run with Ackeem E.
Intervals: As a beginner, it’s hard to decipher just how much you can do and how fast you can go. In this class, you’re going to explore a variety of gears so you can gain insight on your capabilities efficiently and effectively. Some of us are sprinters at heart, and some of us are built to go the distance. Let’s find out which one you are. Laddering Speeds with Elena M.
Intervals: Build on tempo and endurance in this ladder workout. Start with a 6-minute warm-up, then work through various speed intervals at your tempo, recovery, running, 10K, 5K, and sprinting paces. As your speed and intensity increases, the duration of the interval will decrease. 5-4-3-2-1 Run with Meghan T.
Speed Work: This is an active recovery run in which you’ll learn what a tempo pace should feel like. You’ll run 5 minutes at a really light jog, then 5 minutes at a tempo speed, alternating until you get down to 1 minute of each. The transitions create muscle memory for what tempo pace should feel like and are the most important parts of this run. This class is very form-focused and is great for the serious runner looking to work on pace. Intervals and Zones with Rachel M.
Intervals: In this run, work through four sets of intervals. Your first interval will be a little longer, but then you’ll cut it in half and double the speed. Work in zones 1 through 5 (level 5 is your sprint pace). Progression Patterns with Rochelle B. Speed Work: This workout is designed for athletes who need to focus on a progression run to build speed and stamina. You’ll learn proper form and breathing patterns, as well as perform cadence checks throughout the workout. Warm up, then work through intervals at your jogging, tempo, and 5K paces. Till The Run Ends with Ackeem E.
Intervals: This routine is endurance-based. The goal is for you to maintain your tempo for 30 minutes at 7.0. Your endurance spikes will last for 60 seconds, but you’ll have 90 seconds of active recovery. No Drama with Elena M.
Intervals: Warm up, then work through three 5-minute blocks with intervals at your running and sprint paces with some hills thrown in. Work through two 30-second sprints in the final block. Haul The Hills with Jaime M.
Intervals: This beginner treadmill class is set to a playlist of all ’80s rock music. The word of this workout is “believe.” You’ll walk, jog, and push through some incline intervals. 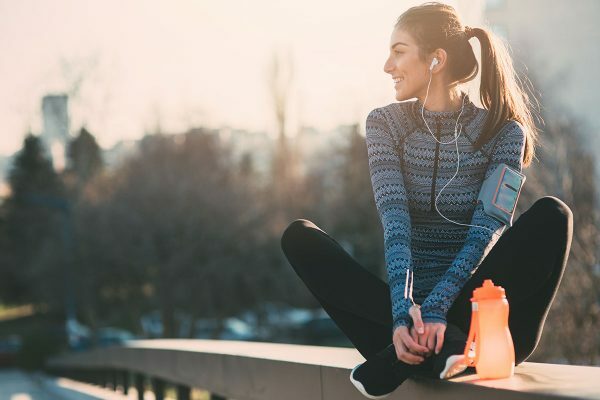 This Is What I Came For with John T.
Intervals: This workout is a beat-based run that involves two different challenges: progressive speed drills and sprint intervals. Within each song, you’ll have ranges of speed rather than specific numbers so you can find the speed that challenges your individual limits. Jump on that tread and let’s party! Intervals 101 with Meghan T.
Intervals: This is a great workout for the beginner runner who wants to learn how to run. The workout opens with a 9-minute incline walking progression. Your highest speed is 3.2 and your highest incline will be 10.0. Then, you’ll work through a 9-minute interval in which you’ll add a minute onto your running intervals. So, you’ll start with 1 minute of running and end with 3 minutes of running. Enjoy a minute of walking in between. Your speed for these intervals will be 5.2. Intermediate Intervals with Meghan T.
Intervals: This workout consists of one interval that’s repeated three times. Within each interval, there’s a 4-minute progression interval and a 2-minute incline variation. Your run speeds for the incline variations will range from 5.0 to 6.0. For the progression interval, your speeds will range from 5.5 to 7.8. This class is great for someone who likes variety and wants to work on running on an incline. 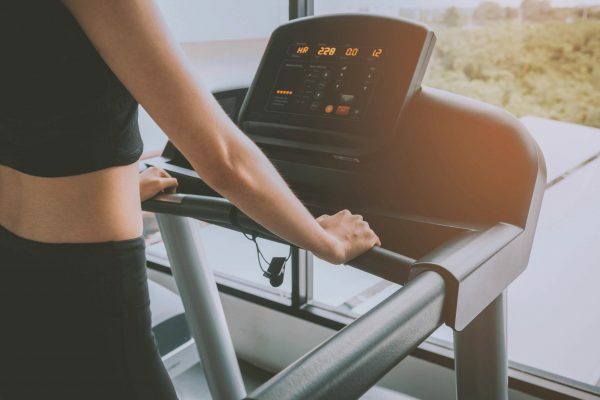 Your Treadmill Warm-Up with Meghan T.
Incline: This quick workout is great to use as a warm-up. Work at three different speeds, holding each for 2 minutes. The second minute adds a challenge with a level 3.0 incline. Your speeds will range from 5.0 to 5.6. Incline walking is a great way to recruit and activate the muscles you’ll use for a run. Sweat to an all Portugal. The Man playlist. Four By Three with Rachel M.
Intervals: Tackle four 3-minute efforts. You’ll increase your speed and incline on the second and third minute respectively for each interval. Your maximum incline will be 5.0. Walking and Training with Rochelle B.
Incline + Walk + Strength: This workout is designed for a beginner athlete who wants to focus on building up lower body strength and cardio endurance. There is no jumping or running so it’s great for someone looking for a low-impact workout. The class consists of walking on an incline, along with strength training moves off of the treadmill with no equipment. Your maximum incline is 10.0 and your maximum speed is 3.5 The strength moves include 30 seconds each of squats, alternating lunges, and low-impact high knees. Live In The Moment with Elena M.
Walk: In this fun, you’ll increase your speed along with the rhythm of the music. Walk to an all Portugal. The Man playlist. Negatives Into Positives with Jade A. Guided Meditation: This meditation focuses on turning negatives into positives. Train your mind to see the good in everything. No Stress, Just Rest with Jade A. Guided Meditation: Release stress and layers of tension before bed. Let go of any negative thoughts, feelings, and emotions. You’ll do a full body scan to help you relax. The Workout Flow with Jade A.
Vinyasa Flow: This fast-paced flow will get your heart rate up and have you sweating in no time. Postures include cat/cows, sun salutation B, warrior 2, flipped dog, chair, mountain, pigeon, and crow pose. This is a great class for those days you want a challenging workout and a restorative flow, but don’t have time for both! All About Crow with Jess R.
Vinyasa Flow: This class focuses on crow pose and building the strength you need to get into the posture. Moonwalking Elliptical with Jaime M.
Groove to the Feeling with John T.
Intervals: This beat-based workout is all about feeling cues rather than using specific numbers or levels of resistance. Instead, you’ll have specific descriptions of how the resistance should feel and how your body should respond while moving within the rhythm of the music. The workout has a four-song circuit that repeats twice. The songs will each focus on climbing, climbing without hands on handlebars, and intervals. The goal of this workout is to forget about specific numbers and zone into how the body should feel. Backstreet n Sync with Katie H.
Intervals: Ride to a six-song playlist of all Backstreet Boys and *NSYNC. Push through various intervals. Pay attention to your form as you pedal. Riding To Portugal with Katie H.
Intervals: Cover two rounds and six songs. Build your intensity in the first round and then use the second to break new ground. Sweat to a Portugal. The Man playlist. Build Your Lower Body with Rochelle B.
HIIT: This workout is designed for advanced athletes who need to cross train for a race or need to focus on HIIT training to improve their running performance. Warm up, then work through steady climbs, high resistance, and sprint intervals. Your maximum incline and resistance will be 15.0. The goal is to really focus on form and build lower body strength to improve running performance. Edges Of The Music with John T.
Intervals: This advanced indoor cycling workout is set to a six-song playlist that’s divided into two sections. Each section has rhythm training, heavy intervals, and light sprints. The entire workout is beat-base so the goal of this workout is to match the rhythm with the varying speeds of each song and to free yourself from your daily stresses. I’ve Got Your Back with Katie H.
Intervals: Work through short hills and interval blocks in and out of the saddle to tone your lower body. This class has three parts. The first works with intensity, the second focuses on intervals, and the third is about going all out and challenging yourself. Let the Music Fuel You with Katie H.
Intervals: In this ride, you’ll cover three hills: one endurance-based, one intervals-based, and one that combines both. The two words to focus on in this class are fearlessness and power. * We are always working to improve the Aaptiv experience – which includes adding new content and replacing older content. If you don’t see a class you’re interested in, please reach out to support@aaptiv.com for recommendations! Looking for doable tasks you can try all year? Look no further.